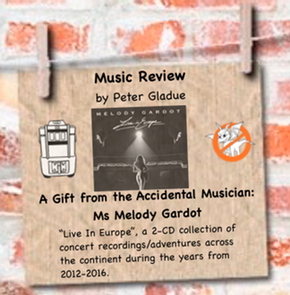 We have received a fantastic review of Melody Gardot’s “Live In Europe”, a 2-CD collection of concert recordings/adventures across the continent during the years from 2012-2016. Her backstory is amazing AS IS the backstory of the reviewer — Mr. Pete (Peter Gladue). This is the first of what we hope will be many reviews from the super knowledgeable, music savvy Mr. Pete. Enjoy! The Doctor looked at me and said “You a Lucky Man”. 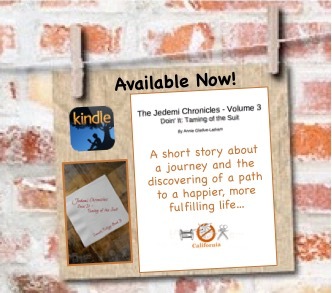 I looked up at me, as I laid flat on my back unable to move my left side and gave him a puzzled look. Those words might make a person get angry. Those words might make a people feel hurt. But most people don’t abuse their bodies with food, smoke and drink, so in a bittersweet way, he was RIGHT. Learn more about Melody in this interview. Having sung only covers of standards – Duke Ellington, Billy Joel, the Mamas and the Papas – in hotels and bars before her accident, she learned to write songs and play guitar as part of her rehabilitation—to try to reboot her neural pathways. As well as aiding her recovery, those songs found their way to the airwaves of a local radio station, which led to record company interest. An executive from the British label Universal Classics flew to Philadelphia to ensure that it secured her signature. 2012-2016. Former Art Student, Gardot considers herself a curator with this project. She selected and interpreted bodies of her work as art. This magical aural experience starts off soft and gentle. With “Our Love Is Easy” and “Baby I’m A Fool” (her two best known songs), Gardot whispers/breaths her words into our ear. Her guitar strumming passionately accents the deep emotions in the tremor of her voice. The audience is respectful, enthralled by the beauty of her performance. This soft ballet triggers memories of love(s) lost and love(s) won. “The Rain” starts slow with percussion imitating the beat of water on a tin roof. A saxophone with piano share a dance like the night wind cursing the darkness. Gardot recites her “Beat” poetry then the band really starts to kick in. A standup bass pulses and skips lightly into Gardot’s jazz scatting. We finish with a tender high note, a cry that maybe the night is over. cradle the words. The tone of her voice is emotionally seductive. She can sing me to a gentle sleep anytime. She teases the song “Lisboa” with a light samba, and simple request for the audience to join in. I can close my eyes and see myself on a beach somewhere, toes in the sand, overlooking the ocean. When one takes a standard from the Great American Songbook and attempts to make it their own, they accept a risky challenge. We return to a gentle Samba beat, and “Somewhere over the Rainbow” shines under a new light with this interpretation. A great song is ageless, and this is a fabulous reinvention. 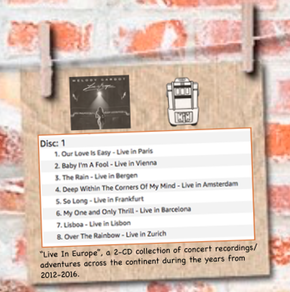 Stay tuned (literally) for Mr. Pete’s thoughts on Disc 2. We were so blown away with Ms. Gardot’s story and her music and we feel it is best that you take some time with it (as we are!) and then come back for more.